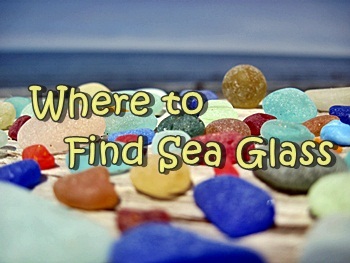 ~ sea glass identification question submitted by Selkie's Sea Glass, Victoria, B.C. Several pieces of pottery shards with designs - Trying to identify! (Found on the shores of Lake Michigan, Wisconsin side)? 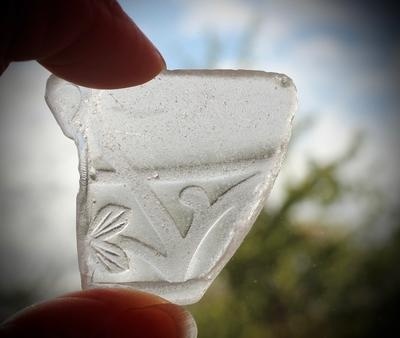 I recently found this patterned piece on a beach in Victoria, B.C. 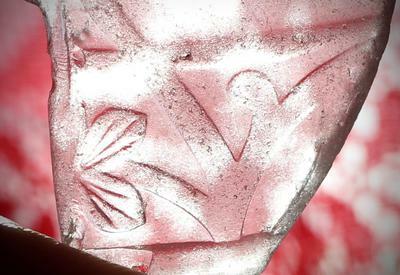 It looks like a piece of a punch glass dating from the 1930's. A glass/bottle show could identify more specifics.